Traditional hotel in idyllic position, individually furnished rooms, new apartments, culinary delights and much more! 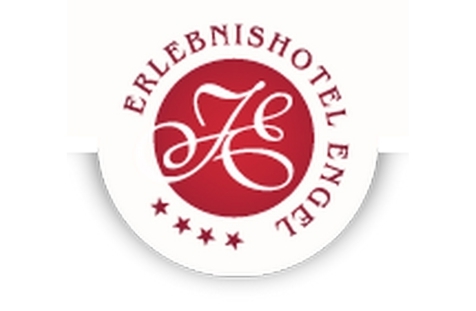 Welcome to Hotel Engel**** in Schluderns! 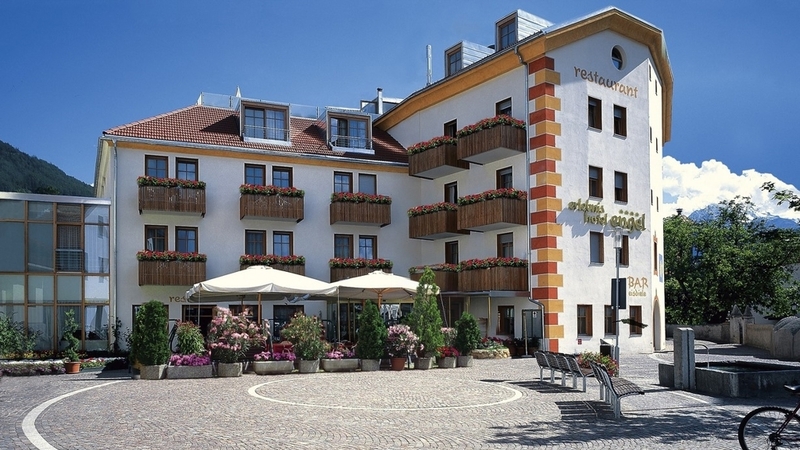 The four-star-hotel Engel is a traditional country inn in the quiet center of Schluderns, an idyllic village in the center of the valley Vinschgau. The premises are stylishly furnished and decorated with loving care. The house is a real paradise if you would like to relax and at the same time an ideal starting point for countless sporting activities for the whole family. For your stay in the Hotel Engel you can choose on the one hand individually designed guestrooms with tasteful furnishings in natural, Biedermeier, English or Tyrolean style. On the other hand we provide also several new apartments, which are located directly in front of the hotel. Our culinary offer is just heavenly, because the daily spoiling program includes not only a rich breakfast buffet and exquisite menus, but also a starter and salad buffet with vital corner, theme evenings changing according to the season, special gala dinners and coffee and cakes in the afternoon. aprox 50 m², in front of the hotel, an apartment with bedroom and separate living-kitchen area, terrace, bathtub or shower, wc, hair dryer, bathrobes, safe, sat-tv, radio, car parking space. Double Room 30-35 m², alpine theme, little balcony, shower or bath, WC, hairdryer, bath robe, sit down corner, minibar, safe, telephone, Sat-TV, radio, internet connection, underground parking. Family Room 46 m², with separate room for children. Double Room 30 m², alpine theme, shower or bath, WC, hairdryer, bath robe, sit down corner, minibar, safe, telephone, Sat-TV, internet connection, underground parking. Room dimensions: 35 m² Alpina theme, bath, WC, hairdryer, bath robe, sit down corner, minibar, safe, telephone, Sat-TV, radio, internet-connection, underground parking. Double Room with Balcony, ca. 30 -35 m², with bathtub, minibar, safe, telephone, Sat-TV, radio, internet connection, underground parking. Double Room with Balcony, ca. 30 m², with bathtub, minibar, safe, telephone, Sat-TV, radio, internet connection, underground parking. Double room with balcony, Imperial or Laguna theme, balcony, shower, WC, hairdryer, bath robe, sit down corner, minibar, safe, telephone, Sat-TV, radio, internet connection, underground parking. Double Room with balcony, ca. 30 m², with shower, minibar, safe, telephone, Sat-TV, radio, internet connection, underground parking. ca. 22 m², Room with small balcony, shower, WC, hairdryer, bath robe, sit down corner, minibar, safe, telephone, Sat-TV, radio, internet-connection, underground parking. Partial and full massage included!